Falling leaves, crisp air, celebrate the season in true German style. Each True Brew ingredient kit makes approximately 5 gallons of beer which is equivalent to 2 cases of 12oz beers. 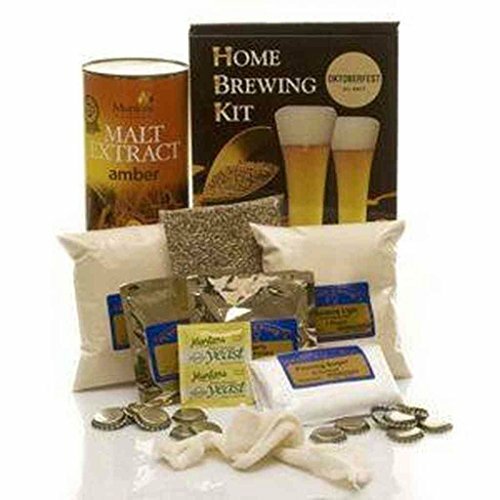 This Ingredient Kit Includes: Unhopped amber malt extract (1 can), light dried malt extract (2 lbs), melanoidin grain (8 oz), hop pellets (2 oz), ale yeast (1 pack), grain steeping bag, priming sugar (5 oz), bottle caps, easy to read instructions.